Family Katona: The entire staff were very efficient, tolerant and helpful, especially Alfred. Family Smith: Very enjoyable relaxing holiday with excellent facilities and friendly, helpful staff. Will go again. Family Docherty: We wish we could stay longer or again in Club Riza. It is so clean and friendly. Thanks to all the staff. Family Collings from Exeter: Very accommodating, helpful staff. Receptionist always very helpful and nothing too much trouble. Family Eckton from Totton: As usual we were extremely pleased with everything at Club Riza and with the continuing updates that are being made. Family Hurrel from Xlendi: Another relaxed break much enjoyed, wonderful sunny situation and very comfortable. Our guests were really impressed by resort and Malta! Thanks to all the staff – the housekeeping girls are always cheerful and helpful – and we do appreciate all that everyone does to assist us and make our visits so comfortable. See you soon. Family Lightfoot from Wellingborough: Another wonderful two weeks. Family Simpson & Jobling from Northallerton: Everybody is very good and friendly. Family Thomas from Wrexham: All staff are so helpful, friendly. Family Barltrop-Glynn from Shanaghy: A lovely place to stay, staff great and helpful. Family Herridge from Weslea: Loved every moment, beautiful place and people. Family Howsam from Lytham St. Annes: Helpful, friendly staff, always willing to help. Thank You! Family Van Damme: Staff at reception were very friendly and helpful. Congrats! Large and clean swimming pool. Family Thomas from Cefn Hengoed: Thank you for a comfortable & enjoyable stay. Family Smith: The quality of the food in the restaurant was excellent. The best mixed grill I have tasted in many a year. Very friendly staff. Family Fletcher: My wife, Joan & I have been extremely pleased with all aspects of our vacation in Malta at Club Riza. I would like to say a special thanks to Mary Grace for helping in various ways, Alfred for his professionalism and friendliness, Daniel and others at the Reception Desk, the cleaning staff who were always competent and thorough, Patrick who picked us up at the airport and will be returning us. Malta is filled with fun and interesting places to see and great food. I will encourage people who like to travel to go to Malta. Thank you to Leanne for Club information. Family Young from Outwell: Excellent holiday, loved Club Riza. Family Talbot from East Harling: Very happy here. Can’t wait to get back. Family Cailes: Reception staff helpful and friendly, but David in particular was extremely kind and went out of his way to help. Family Bradly from Nottingham: We have always come back to Riza again and again for the last 18 years. Family Saunders from Basildon: Bar meals excellent quality and value. Family Howell from Mill End: My wife was poorly and your reception arranged for a doctor to call, all very promptly. Thank You. Family Harris from Morpeth: We can only highly praise the welcome, care and accommodation we have received. Individual letters of thanks sent to Mary Grace and Receptionists. Family Hannan from Dagenham: As always excellent service. Family Smith: A very pleasant stay – Thank You!. We felt comfortable and at ease. Family Percil from Prestwick: Brilliant as usual. Family Sweeney from Preston: Great friendly staff. No issue no matter how small was dealt with. Special thanks to Gaynor. Family Reilly from Limavady: An absolutely magnificent two weeks. We thoroughly enjoyed our stay. We had a marvelously relaxing two weeks. We are so impressed with Club Riza. The staff are all so polite and accommodating. Always prepared to go the extra mile. The Club is spotlessly clean and the servicing of the rooms on a daily basis is superb. We have absolutely no complaints and can’t wait to come back. Thank you for a great room and holiday. Family Jackson: We have had a lovely, relaxing, easy holiday. Thank you. Family Phillips-Griffiths from Coventry: Thank you. Family McBride: All staff fantastic and very welcoming. Made it a great holiday. Family Muscat: Restaurant staff were extremely friendly. Family Clifford from Potters Bar: Water aerobics great idea! Fabulous holiday. Family Allen from Grays: It is just a joy to keep returning knowing that our holiday is going to be very enjoyable. Thanks to you all from bottom to top. Family M’Cullough from Carrickfergus: This is my 2nd stay at Club Riza, and we all love it. A very pleasant place to stay. Family Brolly from Limavady: Another happy restful holiday. Thank you so much. Family Stevens from Derby: I particularly enjoyed the chicken curry at the restaurant. The rice was served with parsley which complemented the curry well. Family Jacobs: We were very impressed by the cleanliness and standard of the resort, accommodation and the staff were very friendly and helpful informing us about the island and places to see during our stay. We love Malta. We look forward to returning. The recycle facilities are a great idea. Family Stewart from Colkirk: Organized trips very good – David’s Team excellent. Family Davids from Greenwich: I brought my friend for the first time. She was so impressed that she is joining the Club. Family Messe from Maltby: Fabulous holiday, resort staff brilliant as always, can’t wait for next holiday. Family O’Connor from Basingstoke: Excellent reception staff. Food great value for money, will stay half board again. Marc is friendly and willing and the food was excellent. Family Addy from Maltby: Complements to reception staff!! Family Crossley from Ripon: Wonderful stay. Thank you. Family Edwards from Banbury: Overall a very enjoyable holiday. Family Ciampagna: A very comfortable complex, impeccable service with attention to detail and immediate solutions for all accommodation needs starting from the reception upon arrival to early morning departure to the airport on your departure day. Family Battams from Ilford: Overal a very good holiday. Family Wright & Authbert from Bridlington: See you all again for 2014. A big thank you to all! Family Green from Lytham St. Annes: Over all our stay was very comfortable. Family Turner from Exeter: When using the laundry I was very impressed by hotel staff when I got into difficulty. We used the kitchen galley in our apartment extensively. The stove was a dream come true for my wife and she invented her own peach tarte tartin. Thank you for a lovely stay. Family Parker from Risby: As always, we have had a lovely holiday, in a lovely resort, thank you. Family Bell from Carrickfergus: Suitable as a base for holiday. Family Berry: The reception staff were brilliant and make the hotel work. Hope they are rewarded well. Family Ghanem: We enjoyed our stay at Club Riza – from the pre-vacation details to check-out, the staff was friendly and helpful. Thank you. Family Neighbour from Basingstoke: Very comfortable, lovely apartment, excellent staff. Family Harkins: The cleanest resort we have visited. Staff did everything above and beyond expectations. Have never before encountered such friendly and helpful team. Family Clark from Pontrhydyfen: Exceptional as usual! Family McCormick from Carnlough: Lovely friendly, clean, beautiful food. Family Cairns: The staff were very helpful. 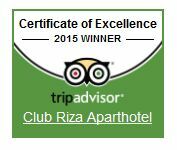 Family Mulholland from Draperstown: My stay here at the Riza was first class, lovely staff. Family Bird from Wivenhoe: Excellent holiday, going home refreshed. Family Heskett from Seaham: Food & friendly service in restaurant excellent. All staff in hotel friendly and helpful. Family Somerset from Havant: We have had a wonderful stay here and regret not booking 2 weeks. With a special thank you to Emma for her attention. Family Simpson from Norwich: Very enjoyable stay. Family Goodwin from Llanidloes: Once again everything has been perfect thank you. Family Hussain from Preston: The staff on reception and in all areas are top class, nothing is too much. Family Cadman from Upper Beeding: Very friendly helpful staff, we enjoyed our stay thank you. Family Gillard from Romford: As always staff have been helpful, friendly and courteous. Thank you all for a restful break. Family Capsey from English Bicknor: Enjoyed our four weeks at Riza Club. Thank you. Family Craig from Clackmannan: Always a pleasure to come here on holiday. Family Allen from Ballymena: Accomodation excellent, good facilities, well equipped kitchen. Family Homphries: All the staff were very professional and friendly. Thank you for a lovely holiday. Family Danielson from Blyth: Hotel nice and clean all staff very helpful. Family Stockley from Orton Goldhay: Another fab week. Family Bunting from Craigavon: Enjoyed our stay and hope to return. Family Hurrell from Xlendi: Will make use of bonus weeks again in the future. Family Bradley from Nottingham: We wish to thank everyone for making our holiday so enjoyable please convey wishes to all. Family Widhalm: we spent a week in a 1 bedroom that was very adequate for our needs. The staff was very friendly & helpful, even made good suggestions about what to see while in Malta. If we get the chance to return to Malta we would stay at Club Riza again. Loved Malta! Many nice restaurants in the area around Club Riza. We had our most enjoyable meal at the Incognito Restaurant. Bus service is very good & inexpensive. Day pass 2.60 euro, 7 day pass 12 euro for unlimited use on all public buses. Short ferry ride to neighbouring Gozo island 4.60 euro round trip. Family Widhalm: Excellent resort, very clean! Very helpful staff. Family Crane from Middleton: Unbelievable how all the staff, not just some, but all the staff were so accommodating and very very helpful, would recommend this Club to everyone I know. Family Whitton from Clayton-le-Moors: All staff excellent, friendly, wonderful apartment. Family Kitchen from Weston: We have loved our stay here, lovely people your staff are so pleasant. Family Lightfoot from Wellingborough: Lovely apartment with sun on the balcony all day best yet after 22 years. Family Mason: A spacious apartment with solid good quality furniture. Unit was cleaned every workday. The transfer and taxi service provided by David Guntrip was excellent. Family Rodgers: Reception staff could not be more friendly or helpful. Family Hayward: The Reception staff were all exceptional in their manner, helpfulness, advice and general overall attitude. Family Bigwood from Kingston upon Thames: The usual charming relaxed stop break in time, peaceful & stress free. Friendly efficient staff & high standards all round. Family Goves: Can’t praise the facilities and the staff highly enough. Everyone give 110%. Family Pemberton from Upminster: Restaurant staff very helpful. Family Howey from Bramley: We had a lovely holiday and the children absolutely love the hotel/resort especially the swimming pools. The staff have been lovely and the way the resort is run seems to have improved hugely since we were last here 2 years ago. We are really looking forward to visiting again some time. Family Towle from Ashby by Partney: Had forgotten how nice the Riza is, both staff and hotel are a credit to you. Family Gray from Dorchester: Reception staff particularly friendly and very helpful. Nothing was too much trouble. Very good sense of homour especially Daniel and Alfred. Daniel particularly very helpful with booking some trips. 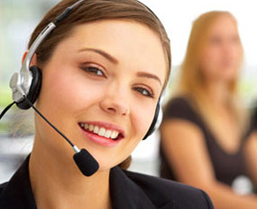 All staff helpful, pleasant and went about their business quietly and efficiently. Thank you for help making our stay very relaxing and enjoyable. Family Simpson from Northallerton: it has been very good. Staff excellent and rooms very good and clean. Thank you. Family Maidment from Lympsham: We had a very good stay with you all. Nothing was too much trouble for your staff. The apartment was excellent and very clean. Our guests enjoyed their holiday and spent most of their time in the swimming pools. We will be coming back again in the New Year. Wishing all at Club Riza a Happy Christmas and New Year. Family Williamson & Pollitt from Ashton-under-Lyne: The staff are very good, keep the staff and “look after them”. A happy Club! Family Gennings from Billericay: Staff were very kind and helpful and we appreciated their thoughtfulness. Family Funai from Dundee: Fantastic yet again. Thanks to everyone at Club Access 2 leisure, staff and members alike. Family Wright & Authbert from Bridlington: A big thank you! To all the staff. For a home from home holiday – see you again next year at Club Riza and Club Los Molinos. Family Guerrier from Prestwich: Glad we joined, first stay at Club Riza and will come back. Both our children and partner came with us and all very happy. Family McKeand from Portsmouth: All aspects absolutely brilliant. Best hotel I’ve ever been in. Family Harris from Morpeth: The friendliness and helpfulness of everyone has been outstanding. They have made us feel that nothing is too much trouble. We were five hours late arriving at 2am. Matt carried our luggage to apartment 106. The next morning Fiona arrived to ask if she had left a suitable mattress to help with my osteoporosis – she had! The apartment is really good – beautifully clean and comfortable. The sun shines on the veranda in the morning and stays until about 3pm. We love the sound of the trickling water from the fountain. The daily cleaning ladies have been cheerful and excellent at their jobs. Every time we go to reception we are greeted with smiles and helpfulness. It was so good to meet the General Manager Mary Grace one lunch time. Again she was pleased to know how happy we were. We had to change our flight. Graziella (of FCm Travel) was most helpful in arranging this for us, although we had booked through a local company at home. We will certainly contact her about flights for 2013. We have put in a booking request and are already looking forward to our return. P.S. Martin the Club Access 2 leisure rep has been outstanding, helpful and patient with us, gave his time cheerfully and showed unlimited understanding of the way the Club works. Thank you to all the staff at Club Riza who have helped in so many ways. Family Hurrell from Xlendi: We chose the right weeks! Weather ideal, not overcrowded with children, nicely situated apartment and as always, friendly efficient staff. The excellent quality of cleanliness, the efficiency saving made by many areas helps us all – including keeping the maintenance fee under control … thank you all. Family Atkinson from Pickering: Thank you for another pleasant 2 week break. Family Ellis from Liversedge: Another great 2 week holiday at Club Riza. Thank you! Family Humphreys from Waltham St Lawrence: The best mushy peas ever … from Marc in the fish & chip shop! Family Dawes: Thank you for a very pleasant holiday!! Family Le Bigot: Staff at the Reception desk very efficient … very nice!! Family Procter from Preston: Staff friendly, accommodation clean. Family Hudston from Liverpool: Fabulous relaxing holiday thanks to accommodation and all staff!! Family Dewson from Bedford: Did enjoy stay, staff excellent, couple of niggles but all good. Family Brackstone from Stafford: Yet again we have had a very enjoyable holiday at Club Riza which has met our expectations. Thank you for a very lovely holiday again. Family Carne from Reading: At Club Riza , all the staff are so welcoming, friendly and helpful. Nothing seems too much trouble. Reception staff answer all my questions and there are many! And Alfred is a diamond! Family McCullough from Carrickfergus: We had a very enjoyable week at Club Riza. Lots to do in Malta! Family Morritt from Normanton: Once again very enjoyable stay. Family Farrugia from Swindon: We love the service, the accommodation and the cleanliness here at Club Riza. This is why we come here all the time. Plus all the staff are great and very very helpful too – we just love it – thank you. Family Edwards from Wrexham: The Club Riza staff were extremely helpful when my partners’ mother was taken onto hospital. Thank you!! Family Pinkerton from Carlisle: This is the first time we have used our membership and we haven’t been disappointed! The facilities here are excellent. Really friendly and welcoming. The kids especially have had a ball playing around the pool. Really big thanks to all the staff at Club Riza and at the George Cross. See you again soon. Family Brown: The Club Riza is excellent. The staff outstanding. Resort very clean. Family Love from Bristol: A good holiday. Family Loch from Mid Calder: Had another fabulous holiday in Malta – look forward to coming back next year! Family Turner from Portsmouth: We enjoyed our stay here very much. Family Whitton from Clayton-le-Moors: Excellent in every way. Attention to detail for people with walking problems especially in sauna, pool ect. the best … all staff are excellent in every way. Well done. Family Borg: Resort staff have been the friendliest we have seen worldwide. Family Fernley from Burscough: We have enjoyed our stay … nice staff. They have made us feel welcome. Very clean and nice place. Family Neale: Great Staff … everyone was helpful and friendly. Family Lowe from Llardrinio: Excellend stay … well enjoyed and rested. Thank you very much. Family Bubien from Little Hallingbury: All the Club Riza staff have been their usual welcoming selves. Family Bourne from Glen Parva: Reception staff at Club Riza are fantastic, especially Alfred. Family Richardson from Ramsgate: As usual, we have had a wonderful stay and have found the staff pleasant and helpful, offering a high level of customer service. Family Gregory from Maldon: Keep up the excellent work because you have provided a wonderful holiday. Family Hooper from Exeter: All Reception Staff excellent. Maids and cleaners very pleasant and friendly. General Manager, Marygrace very helpful and excellent at her job. Family Hancox: All staff we met gave us excellent service, the best we’ve ever come across, especially from Reservation Staff. Family Herridge from Swindon: We are very happy with things as they are! Family Bouskill from Horncastle: Everybody was so helpful and kind … the food was great, rooms very clean, Reception Staff excellent. Thank you, especially, for all the help and consideration during my brother’s illness whilst on holiday. Your service was second to none! Family Thomas from Lossiemouth: We would like to thank all the staff at Club Riza for being so friendly polite and helpful during our two week stay in June. Yet again we could find no fault or problem during our stay and we had a brilliant time. All staff were great can’t wait for our next visit. Always surprised by how friendly and helpful EVERY member of staff are. Family Yelland: Really friendly staff and clean accommodation helped us to have a very good holiday. Family McNab from Dundee: We would like to thank all the staff and single out the catering staff for not only for the food which was of such a high standard but also for their attention to detail and being so attentive to us. I feel this is a big plus for Club Riza – we give 10 out of 10 to Marc and his staff. Thank you all. Family Bennett from Cleveland: Enjoyable stay again. Family Reid from Woking: All staff very nice and helpful. Family Taylor from Shropshire: Room very nice. Family Walters from Leek: Very good! Family Griffiths from Helensburgh: Thank you for my stay as before it was very nice and staff are excellent, especially the Manager of Club Access 2 leisure [Charlie], Alfred and Tami. Family Harding: Building and decor were very nice and well kept. Family Woodward from Burscough: my daughter had her wedding in Malta and the Riza staff were fantastic, always offering to do things for us. We also own at the Salina Wharf and you out do them every time. Family Hollier from Grantham: very friendly and helpful staff, especially Reception. Family Thompson from Croston: the staff complete the holiday and once again both pools were wonderful. Family Richardson from Goring: Dorita maintained our apartment to an excellent standard … so willing and so kind! Family Conway from Bangor: there was nothing too much trouble for staff … which makes a holiday a happy one. Family Smith from Chorley: everything fine, thank you. Family Marchall from Harrogate: excellent holiday, no problems, no complaints … thanks. Family Jenkins from Haverhill: beyond satisfactory … 5 stars to all, thank you. The staff in the restaurant were fantastic, amazing service. Thanks to all for making our holiday fantastic. Family Dye from Kings Lynn: see you next year! Family Nutt from Worplesdon: a very enjoyable stay, very polite and helpful staff. Family Davies from Ammanford: All excellent … although the comments seem a little exaggerated they are nevertheless as we feel. Thank you. Family Taylor from Warrington: we have had a wonderful 2 weeks. Very relaxing and enjoyable. Loved Indoor Pool. Family Quaye from Thornhill: everybody extremely helpful and friendly. Family Heaney from Innerleithen: we always enjoy our holidays at Club Riza and particularly commend the staff for their friendliness. Family Worsley from George Green: excellent Reception Staff. Family Archer from Winchester: Alfred in Reception was exceptionally helpful in welcome, answering questions, booking things etc. Family Bird from Bridgwater: Excellent! Family Ritchie from Larbert: Very enjoyable stay. Family Norrington from Chatham: first time with Clubs as new members … We have had a very good week, will see you again! Family Bush from Billingborough: once again we have really enjoyed our 2 weeks with you and look forward to returning next year. Family Vaughan from Brackley: see you in December 2012 and again in May 2013. Well done everyone! Family Pitcher from Henley-On-Thames: the cleanliness within the Resort was excellent! 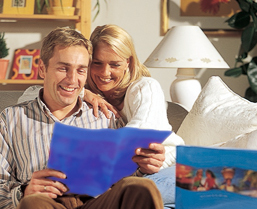 Family Conway from Bangor: I found the whole stay was a very relaxing and stress-free time with everyone helpful. Family Brogan from Hillingdon: have had an excellent week … have been looked after very well by all the staff. Family McPhail from Chorley: a thoroughly enjoyable holiday … everyone very friendly and helpful … lovely meals and the catering and service and cleaning staff particularly friendly and helpful. Family Mooncraft from Willenhall: excellent holiday, great staff … look forward to seeing you in September. Family Wagstaffe from Buxton: very pleased … Reception and all the other staff polite and friendly. Family Dean from Pudsey: we have had a most relaxing holiday in wonderful surroundings … just what we needed. Thank you. Family Layton from Chingford: good to see Club Riza well looked after. Family Mc Laughlin from Preston: wish we had visited Club Riza before now! Family Barrie from Whitley Bay: no problems as usual … excellent holiday. Family Aldren from Lancaster: complex very good with pleasant and friendly staff. Your singer very good but only once a week. Family Lishman from Newark: very pleased with the cleanliness of the Resort … especially of the apartment. The staff have all been very helpful and pleasant which helps to make an enjoyable holiday. Family Wigham from Cockermouth: looking forward to my next visit with you. Family Killey from Ballasalla: we are very pleased that we joined Club Access 2 leisure … it is a pity we didn’t join years ago as we have been so well looked after in every aspect. We feel that we belong to a large family with nothing being too much to make our stay so wonderful. Family Boyd from Millisle: first class accomodation. Family Stephenson from Redcar: from our point of view, everything we expected from the staff and the facilities were met. The attitude and the manners were exceptional. The standard shown last year was still as high during our stay this year. Family Bouskill from Water Lane: as a result of my medical emergency whilst on holiday, we have experienced outstanding customer service and want to thank you for going above and beyond the realms of human kindness. Family Johnson: very pleasant stay. Family Meese from Maltby: excellent value for money and like coming to see friends … really good holiday. Thank you, All. Family Church from Yateley: good value Fish & Chips with wine for 15 Euros for two! Family Cooper from Prudhoe: very enjoyable stay … everyone helpful and friendly. Family Mills from Quernmore: all staff so good and cheerful. Family Johnson from Walkley: super accommodation staff very helpful and friendly. Special thanks to Maria for helping us to upgrade our membership to suit us even more. Family O’Hara from St. Osyth: a few members of staff stood out in particular from apartment cleaners – Simona for attention to detail. From Reception – Alfred for being helpful and funny, Nick for attitude, advice, courtesy and consideration. From A2L: Leanne, Charlie, Jim and Rosa. All the staff here are good, but the ones mentioned really stand out. Family Stowell from Preston: as always cleanliness and staff excellent. Family Powell from Canvey Island: very pleased … will come back in September, 2012. Family Furness from High Peak: household and maintenance staff have responded quickly and pleasantly. Family Elliott from Newcastle Emlyn: thank you for a great experience! Family Smith from Radyr: the reception staff were without exception courteous, helpful and generous with their advice. Family Neighbour from Basingstoke: enjoyable holiday … good helpful staff! Family Herridge from West Swindon: we would like to say a big THANK YOU to all. Family Seridu from Nettleham: excellent service at this resort … would like to come back to same place. Family Richardson from Blakelaw: overall the Riza is a very good standard. Family Pammant from Colden Common: lovely apartments … standard kept up well. Many thanks to Ian and Jimmy … they made our holiday great staying here! Family Hudspeth from Barton-Le-Clay: we have enjoyed our week, staff very friendly and helpful. We look forward to a future stay. Family Anderson from Pakenham: we have found the Staff on Reception very friendly and helpful at all times, as all the other Staff. Family Thompson from South Shields: overall a pleasant holiday despite weather!! Very pleased with the accommodation. Family Stephenson from Rosewell: found Malta very interesting … so with the accommodation being as good as it is, it make for a very relaxing holiday. Family Coleman from Qawra: we have had a very nice holiday, Thank You.